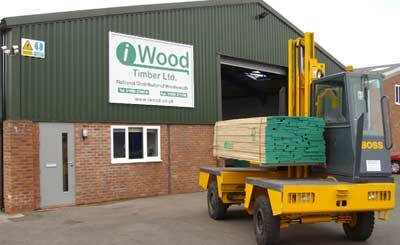 iWood is a timber merchant that focusses on quality and enjoys supplying a whole range of timbers to joiners, builders, architects, landscape designers, furniture makers and woodworkers. Our central location in the Midlands allows regular deliveries throughout the UK. Each individual member of iWood's sales staff has over 25 years experience in the timber trade so you can be assured that every last detail of your order receives the greatest attention. 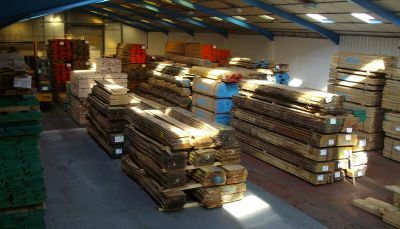 We specialise in oak but also supply a lot of Western Red Cedar, Douglas Fir, Ash and around 20 other timber species. iWood's purchasing policy focuses on sustainable sources that have an understanding of environmental responsibilities and we indeed have chain-of custody which enables us to supply FSC® and PEFC® timber.